A phthalate free lotion enriched with cocoa butter. 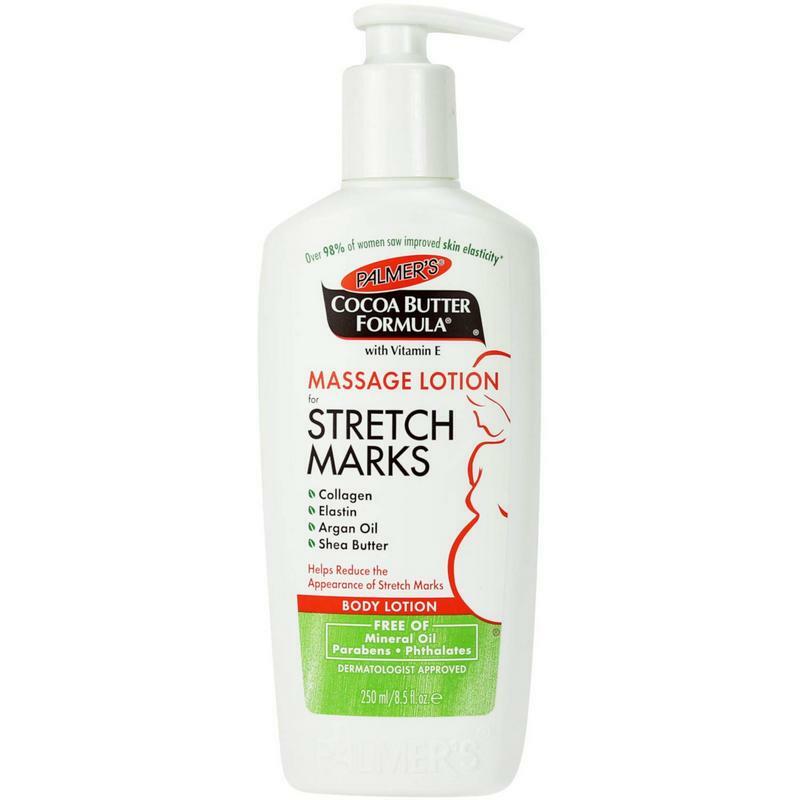 Enriched with cocoa butter, collagen, elastin, shea butter and vitamin E, this lotion can be used on the stomach, hips and thighs. It helps reduce stretch marks and restore elasticity of skin. Centella asiatica extracts help revitalise collagen and elastin fibres. Sweet almond oil helps reduce scarring of skin. Argan oil helps soften skin and improves complexion. Massage all over the body twice daily - especially on thighs, legs, stomach and bust.